I have recently returned from a mission to Panama for the ‘Start-up and Implementation Support Workshop’ for the GEF-funded Sustainable Development and Climate Change Mitigation Project in the province of Veraguas. 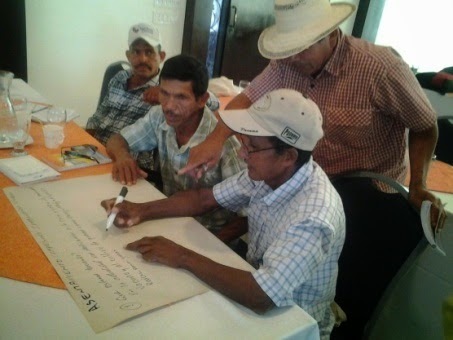 The main objective of this project is to promote sustainable rural development and environmental management in the Province of Veraguas, contributing to both poverty reduction and the improvement and conservation of natural resources (soil, water and biodiversity). Furthermore, it will contribute to national efforts in mitigating climate change, through a reduction in greenhouse gas (GHG) emissions and through an increase in carbon sequestration. The objective of the workshop was to discuss the scope, expectations and implementation arrangements of the project. There were themed sessions held, aimed at contributing to the strategic, administrative, financial and operational performance of the project, in collaboration with the major stakeholders involved in the project. These included local communities, the National Environment Authority (ANAM)- implementing Agency, the Ministry of Agriculture (MIDA), the Agricultural Research Institute (IDIAP) and also the newly recruited project coordinator and administrative assistant. 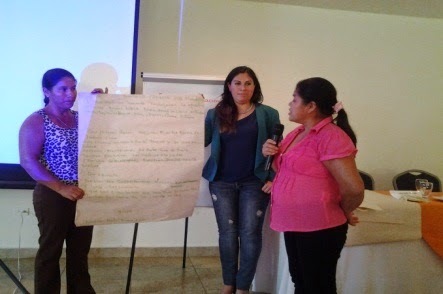 In order to share experiences between IFAD-supported projects, national staff from the DECOFOS project in Mexico participated in the workshop. This project is implemented by the National Forestry Commission of Mexico (CONAFOR) and it has also GEF co-financing. The mitigation expert from the CONAFOR - Mexico team explained what climate change is and the impact it would have on the production. In his explanation, he compared the world to a child ‘When a child has a temperature rise of a few degrees, they get sick, and the temperature has to come back down for them to recover. Climate change is like that for the world, and the temperature is continuing to rise, and the earth is getting more sick’. 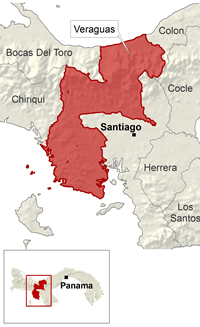 With this very simple yet clear explanation, the mitigation expert from CONAFOR managed to grasp the attention of the local communities and awoke their interest in what, so far, had seemed to them as a very vague and distant topic. Implementing activities, coordinating different actors and Institutions is always challenging: during the workshop different approaches and methodologies were discussed in order to find the most successful one. Participants expressed their points of view about the effects of climate change and the benefits to the environment of sustainable farming. In a short time, the main stakeholders of the workshop managed to reach an agreement on the next steps leading to the first disbursement of funds. The ANAM committed to provide a schedule of activities to be implemented in the short and long term. The fruitful brainstorming session held with the local communities as well as the experience shared by the Mexico team provided useful insights for the road ahead. A motivating talk by the project staff of a similar project has proven positive and is surely an experience to be repeated.